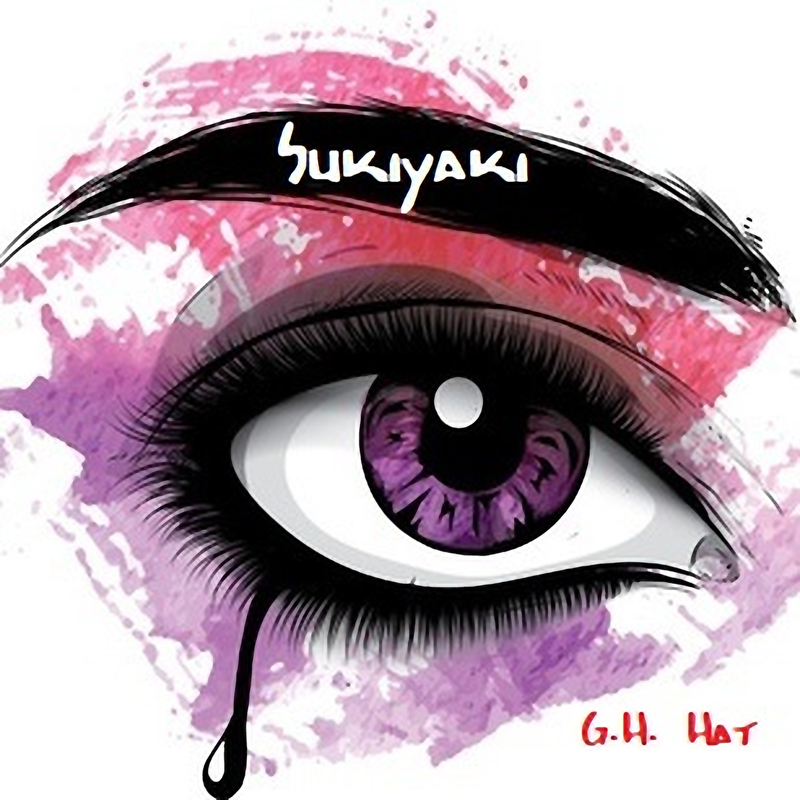 With ‘Sukiyaki’, his latest release, G.H Hat taps into the melodic beauty of the only Japanese song to ever make it to the #1 Chart position in the US (1963). Modernized, for a new generation, this epic melody becomes a pop/dance classic that from the 2000’s perspective is even better than the original. And some of you baby boomers might like it better too. G.H. Hat seems to be doing everything right as an artist right now. His last single release “I Got a Problem (I Wonder…)” [feat. Mickey Shiloh] made its way to Billboard’s Dance Club Songs (Top 50) chart for ten weeks, peaking at #16. The release also doubled charted on Billboard’s Hot Singles Song Sales for a whopping 7 weeks, reaching #5 at its greatest moment. Adding to an already impressive journey, all of this comes after Hat originally put out an immense 290 releases under the classical genre, before deciding to venture over into the world of EDM. As it turns out, this was a strong decision – we see him going from strength to strength with his new approach to creativity. Things look set to keep getting better. This release is a concise EP showcasing the same song under three different spotlights – though this is part of a larger, 10 track album of remixes that further explore the true essence of the 2000s with tracks by Grammy nominated Ralphi Rosario and the very popular Dinaire+Bissen. The first recording on this shorter project features the stunning vocals of Alina Renae. The track builds up from a simple piano part, a gathering of synths, and an underlying vibrant energy on the verge of bursting its banks, to something that is infectiously uplifting and set to take the summer months by storm. G.H. Hat brings together a number of skills or traits that really showcase an artist with an unquestionable awareness of what works in music, as well as an unquenchable thirst to craft effective sources of escapism for all who witness his work. ‘Sukiyaki’ is a beautiful song, the beat presents the nostalgic energy and pace of a classic dance-pop single. The set-up, the progression, the detail – everything works hard to leave its mark, supporting and complimenting the leading voice and the lyrical concept beautifully, giving this a totally addictive quality. The second track on the project is the aptly titled the ‘Not So Chill Version’ of the same song. This sees an immediate transformation as a slightly more intense and manic energy comes through from the offset. A flicker of distorted guitar and a notably more tribal beat take the reins and craft around you something that feels completely fresh, even when heard directly after the opener. The mood of the music leans in a different direction, perhaps reaching out to a more alternative audience, though at its core you still have the now familiar vocal feature and melody leading the way through this creative arena of music. Creative is the key word; the set-up of this piece is incomparable – it follows its own rules and that gives it a refreshing touch of character and individuality. The final few moments are beautiful. Bringing the EP to a close is a purely instrumental version of the same song. Again, this reaches out from a different angle, perhaps connecting more intensely with fans of rock or with guitarists who find themselves drawn to the seductive sound of an electric guitar melody. This simple change really gives the track a whole new appearance, something of a Santana edge emerges to drive the song’s sentiment and energy in a beautifully captivating way. The tone is lower than that of the vocalist, the melody meanders a little more freely, so it feels like an entirely different version. In addition to this, the electric guitar sound intertwined with the thickness and colour of the EDM soundscape makes for something totally fresh and surprisingly entrancing. After the two-minute mark, things really start to evolve in a stunning way. The sound gathers momentum and brings with it a level of intensity that most will find completely energizing. It’s easy to listen more than a few times over. “Sukiyaki”, coming on the heels of “I Got a Problem (I Wonder…)”, solidifies that G.H. Hat is no “one-hit-wonder”. Things look set to simply soar higher and higher for G.H. Hat. It’s exciting to think what the future may hold. You can hear his music on Spotify, Google, Tidal and any of the major stores. Visit his website at www.GHHAT.com.